On this last Friday in October, I am bringing you a fun Halloween read! Are you prepared to be scared??? Synopsis: (from Goodreads) On a windy Halloween night, as a little boy makes his way home after trick-or-treating, he hears a voice: “Cracklety-clack, bones in a sack. They could be yours if you look back.” As his heart flip-flops with fear, the boy dashes through woods and fields that seem full of haunting shapes owls, ghosts, skeletons, and more. The detailed illustrations are packed with visual tricks for children to discover. Are those skeletons or cornstalks? Ghostly hands or tree branches? The playful tone of the text makes this a perfect, not-too-scary read-aloud, with an enjoyable surprise ending. A boy walks home with a heavy load. 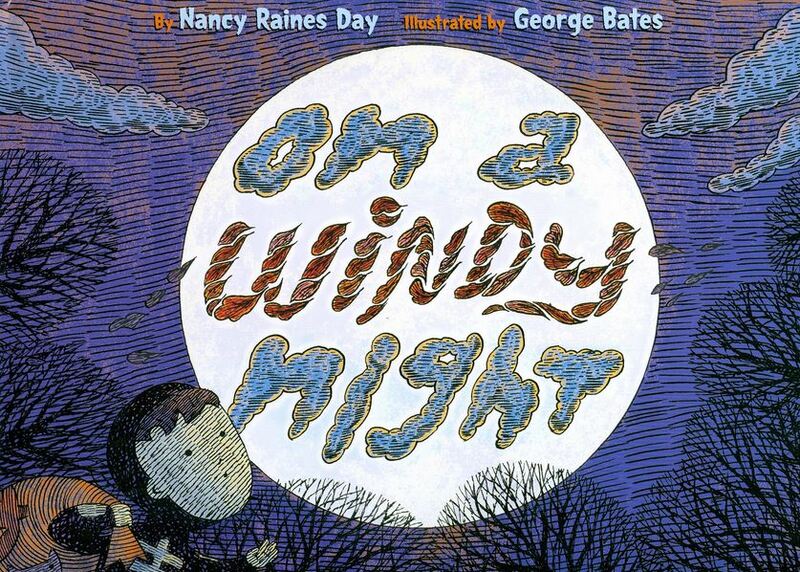 Resources: Nancy Raines Day has Extra For Educators on her website. Click HERE and scroll down to On a Windy Night for excellent activities to use along with her book. Why I Like This Book: Not to sound repetitious, BUT I love rhyming picture books. I know you’ve heard this from me many times. It’s just that I’m so delighted when I find a great one that I have to share it on Perfect Picture Book Friday. I found this one a while back but wanted to save it for review until right before Halloween. Speaking of Halloween, that’s one big reason I like this book. It is a wonderful read aloud to get everyone in spooky spirits. It has enough suspense to bring on a bit of the shivers, but also a toe-tappin’ rhythm that keeps the pages turning to the delightfully playful ending. And I must mention the pen-and-ink drawings which lend the perfect mood to the text. Click on the cover above to a better look. Yea! It’s Perfect Picture Book Friday which is hosted by Susanna Leonard Hill. After you read about my pick for today, you really should head on over to Susanna Leonard Hill’s blog and check out all the fantastic Perfect Picture Book Selections! Each book is reviewed by a picture book -lovin’ reviewer, AND includes activities to go along with the book. You will find a handy list right HERE. Opening: There’s a corner in my house that needs some fixing up…. Resources: Click HERE to view an amazingly comprehensive Curriculum Guide found on Jean Reidy’s website. Thanks for stopping by, and I hope you have a monstrously marvelous Friday! I just love cumulative tales. And I just love funny! So, I doubled loved this week’s selection for Perfect Picture Book Friday. Synopsis: (from Goodreads) A slamming door may not seem like a big deal, but in this escalating tale, it can have far-reaching (and very funny) consequences — including a limping, yelping Pa; a scared, bee-stung bear; and a whole house plunged into pandemonium! 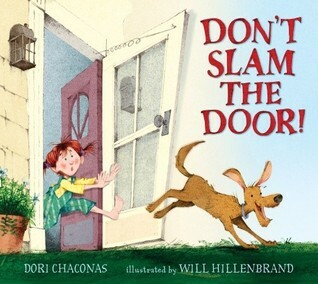 Opening: Please don’t slam the door! Don’t slam that old screen door! so please don’t slam that door! 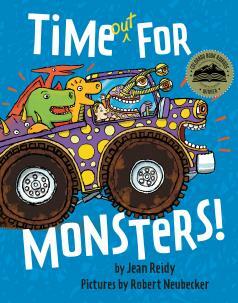 Why I like This Book: This is a fast-moving, tons-of-fun story told in lively rhyme. The text and the illustrations compliment each other in a fantastic way. The illustrations are about a half a step ahead of the text so readers will be clued in to what happens next. The language is especially fun. Look how she describes the bear-“you silly, bee-stung, scaredy-bear.” Cute, huh? Over the last couple of years, I have read every cumulative tale I could get my hands on, and that has been a bunch. This is one of my all-time favorites! Don’t hesitate to check it out! Oh! And while you’re checking things out, head on over to Susanna Leonard Hill’s place and check out all the fantastic Perfect Picture Book Selections! Each book is reviewed by a picture book -lovin’ reviewer, AND includes activities to go along with the book. You will find a handy list right HERE.